Cruz, L. J., Tacken, P. J., Eich, C., Rueda, F., Torensma, R. and Figdor, C. G. (2017). Controlled release of antigen and Toll-like receptor ligands from PLGA nanoparticles enhances immunogenicity. Nanomedicine (Lond) 12(5): 491-510. Torensma, R. (2016). Immune containment of cancer stem cells. Immunochemistry & Immunopathology 2: 123. Roncador, G., Engel, P., Maestre, L., Anderson, A. P., Cordell, J. L., Cragg, M. S., Serbec, V. C., Jones, M., Lisnic, V. J., Kremer, L., Li, D., Koch-Nolte, F., Pascual, N., Rodriguez-Barbosa, J. I., Torensma, R., Turley, H., Pulford, K. and Banham, A. H. (2016). The European antibody network's practical guide to finding and validating suitable antibodies for research. MAbs 8(1): 27-36. Bakdash, G., Buschow, S. I., Gorris, M. A., Halilovic, A., Hato, S. V., Skold, A. E., Schreibelt, G., Sittig, S. P., Torensma, R., Duiveman-de Boer, T., Schroder, C., Smits, E. L., Figdor, C. G. and de Vries, I. J. (2016). Expansion of a BDCA1+CD14+ Myeloid Cell Population in Melanoma Patients May Attenuate the Efficacy of Dendritic Cell Vaccines. Cancer Res 76(15): 4332-4346. Wefers, C., Lambert, L. J., Torensma, R. and Hato, S. V. (2015). Cellular immunotherapy in ovarian cancer: Targeting the stem of recurrence. Gynecol Oncol 137(2): 335-342. Vasaturo, A., Verdoes, M., de Vries, J., Torensma, R. and Figdor, C. G. (2015). Restoring immunosurveillance by dendritic cell vaccines and manipulation of the tumor microenvironment. Immunobiology 220(2): 243-248. Candon, S., Thervet, E., Lebon, P., Suberbielle, C., Zuber, J., Lima, C., Charron, D., Legendre, C. and Chatenoud, L. (2009). Humoral and cellular immune responses after influenza vaccination in kidney transplant recipients. Am J Transplant 9(10): 2346-2354. Meng, L., Wang, X., Torensma, R., Von den Hoff, J. W. and Bian, Z. (2015). Lithium inhibits palatal fusion and osteogenic differentiation in palatal shelves in vitro. Arch Oral Biol 60(3): 501-507. Hoogstad-van, E. J., Cany J., Jansen, J., Torensma, R., Bekkers, R., Massuger, L. F. and Dolstra, H. (2015). Natural Killers versus the Silent Killer: mogelijkheden voor killercellen uit navelstrengbloed tegen ovariumcarcinoom. Ned Tijdschrift Obst Gynecol 128: 70-73.
van den Berk, L. C., Jansen, B. J., Snowden, S., Siebers-Vermeulen, K. G., Gilissen, C., Kogler, G., Figdor, C. G., Wheelock, C. E. and Torensma, R. (2014). Cord blood mesenchymal stem cells suppress DC-T Cell proliferation via prostaglandin B2. Stem Cells Dev 23(14): 1582-1593. Jiang, Z., Von den Hoff, J. W., Torensma, R., Meng, L. and Bian, Z. (2014). Wnt16 is involved in intramembranous ossification and suppresses osteoblast differentiation through the Wnt/beta-catenin pathway. J Cell Physiol 229(3): 384-392. Torensma, R., Prins, H. J., Schrama, E., Verwiel, E. T., Martens, A. C., Roelofs, H. and Jansen, B. J. (2013). The impact of cell source, culture methodology, culture location, and individual donors on gene expression profiles of bone marrow-derived and adipose-derived stromal cells. Stem Cells Dev 22(7): 1086-1096. Moghadasali, R., Mutsaers, H. A., Azarnia, M., Aghdami, N., Baharvand, H., Torensma, R., Wilmer, M. J. and Masereeuw, R. (2013). Mesenchymal stem cell-conditioned medium accelerates regeneration of human renal proximal tubule epithelial cells after gentamicin toxicity. Exp Toxicol Pathol 65(5): 595-600. Di, J., Massuger, L. F., Duiveman-de Boer, T., Zusterzeel, P. L., Figdor, C. G. and Torensma, R. (2013). Functional OCT4-specific CD4+ and CD8+ T cells in healthy controls and ovarian cancer patients. Oncoimmunology 2(5): e24271. Di, J., Duiveman-de Boer, T., Zusterzeel, P. L., Figdor, C. G., Massuger, L. F. and Torensma, R. (2013). The stem cell markers Oct4A, Nanog and c-Myc are expressed in ascites cells and tumor tissue of ovarian cancer patients. Cell Oncol (Dordr) 36(5): 363-374. Di, J., Duiveman-de Boer, T., Figdor, C. G. and Torensma, R. (2013). Aiming to immune elimination of ovarian cancer stem cells. World J Stem Cells 5(4): 149-162. De Keijzer, S., Meddens, M. B., Torensma, R. and Cambi, A. (2013). The multiple faces of prostaglandin E2 G-protein coupled receptor signaling during the dendritic cell life cycle. Int J Mol Sci 14(4): 6542-6555. Bekkering, S. and Torensma, R. (2013). Another look at the life of a neutrophil. World Journal of Hematology 2: 44. Verstappen, J., van Rheden, R. E., Katsaros, C., Torensma, R. and Von den Hoff, J. W. (2012). Preferential recruitment of bone marrow-derived cells to rat palatal wounds but not to skin wounds. Arch Oral Biol 57(1): 102-108. Garcia-Basteiro, A. L., Llupia, A., Mena, G., Bayas, J. M. and Trilla, A. (2012). Quantifying the efficacy of influenza vaccines. Lancet Infect Dis 12(9): 657-658; author reply 660-651. Tel, J., van der Leun, A. M., Figdor, C. G., Torensma, R. and de Vries, I. J. (2012). 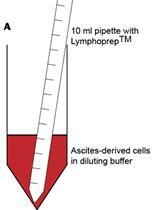 Harnessing human plasmacytoid dendritic cells as professional APCs. Cancer Immunol Immunother 61(8): 1279-1288. Tel, J., Hato, S. V., Torensma, R., Buschow, S. I., Figdor, C. G., Lesterhuis, W. J. and de Vries, I. J. (2012). The chemotherapeutic drug oxaliplatin differentially affects blood DC function dependent on environmental cues. Cancer Immunol Immunother 61(7): 1101-1111. Tacken, P. J., Ter Huurne, M., Torensma, R. and Figdor, C. G. (2012). Antibodies and carbohydrate ligands binding to DC-SIGN differentially modulate receptor trafficking. Eur J Immunol 42(8): 1989-1998. Prinsen, H., de Vries, I. J., Torensma, R., Pots, J. M., Mulder, S. F., van Herpen, C. M., Elving, L. D., Bleijenberg, G., Stelma, F. F. and van Laarhoven, H. W. (2012). Humoral and cellular immune responses after influenza vaccination in patients with chronic fatigue syndrome. BMC Immunol 13: 71. Karthaus, N., Torensma, R. and Tel, J. (2012). Deciphering the message broadcast by tumor-infiltrating dendritic cells. Am J Pathol 181(3): 733-742. Grefte, S., Vullinghs, S., Kuijpers-Jagtman, A. M., Torensma, R. and Von den Hoff, J. W. (2012). Matrigel, but not collagen I, maintains the differentiation capacity of muscle derived cells in vitro. Biomed Mater 7(5): 055004. 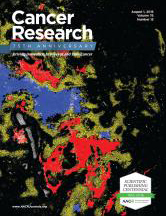 Grefte, S., Kuijpers, M. A., Kuijpers-Jagtman, A. M., Torensma, R. and Von den Hoff, J. W. (2012). Myogenic capacity of muscle progenitor cells from head and limb muscles. Eur J Oral Sci 120(1): 38-45. Cruz, L. J., Tacken, P. J., Pots, J. M., Torensma, R., Buschow, S. I. and Figdor, C. G. (2012). Comparison of antibodies and carbohydrates to target vaccines to human dendritic cells via DC-SIGN. Biomaterials 33(16): 4229-4239. Cruz, L. J., Rueda, F., Tacken, P., Alberico, F., Torensma, R. and Figdor, C. G. (2012). Enhancing immunogenicity and cross-reactivity of HIV-1 antigens by in vivo targeting to DCs. Nanomedicine 7:1591-1610.